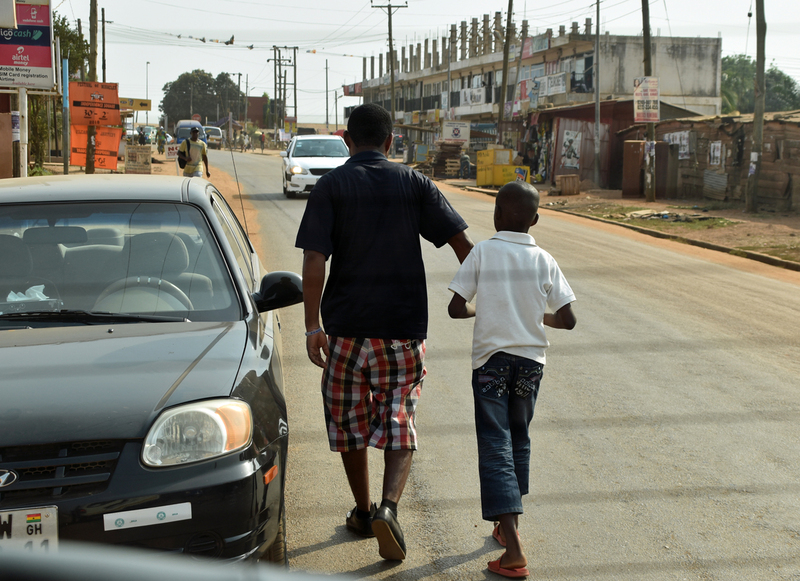 Anecdotal evidence from many developing countries suggests that age limits for sale/purchase of alcohol are not enforced. 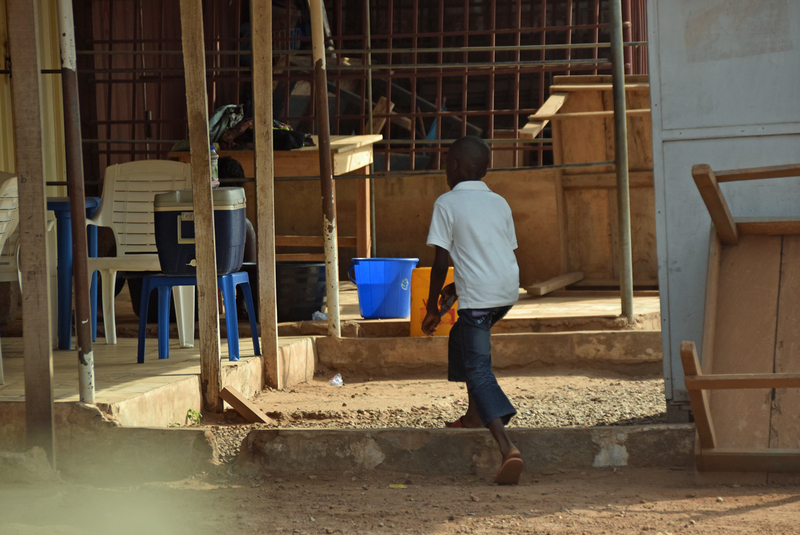 A more systematic test confirmed this in the case of Accra, Ghana: Under-aged were allowed to buy alcohol in 88 per cent of the cases. In this mystery shopping campaign, altogether 129 sales points for alcohol were visited in different parts in the Ghanaian capital Accra. 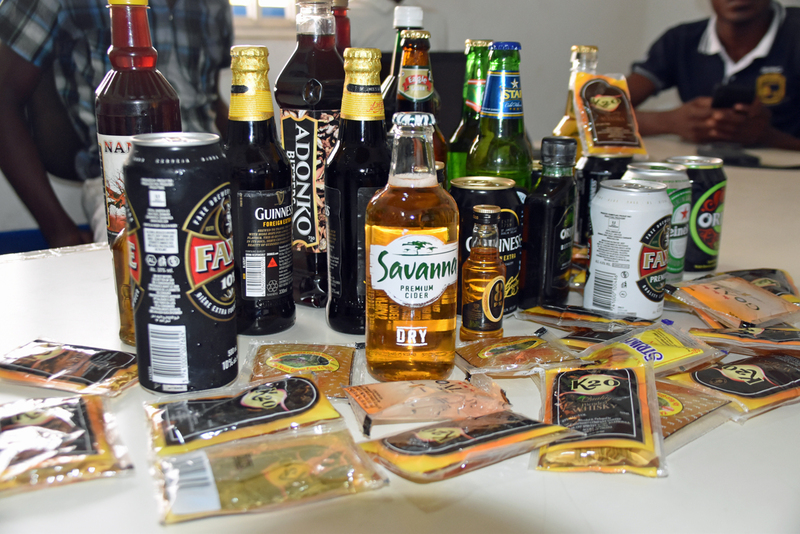 Young people between the age of 12 and 16 years simply entered shops, bars, shebeens, restaurant asking for alcohol, either beer, liquor sachets, wine or bottles of strong spirits. In 114 of the cases the minors could buy the alcohol they asked for. In all cases the young people were followed and watched over at close distance by adults who were trained for this responsibility. The young people also had gone through a one-day training session to understand what they were doing and how they should go about with the test shopping. The young should not make any attempt to dress or use makeup to try to look older. When asked who should have the alcohol, the always answered “It’s for me”. If they are asked their age, they should simply tell the truth. 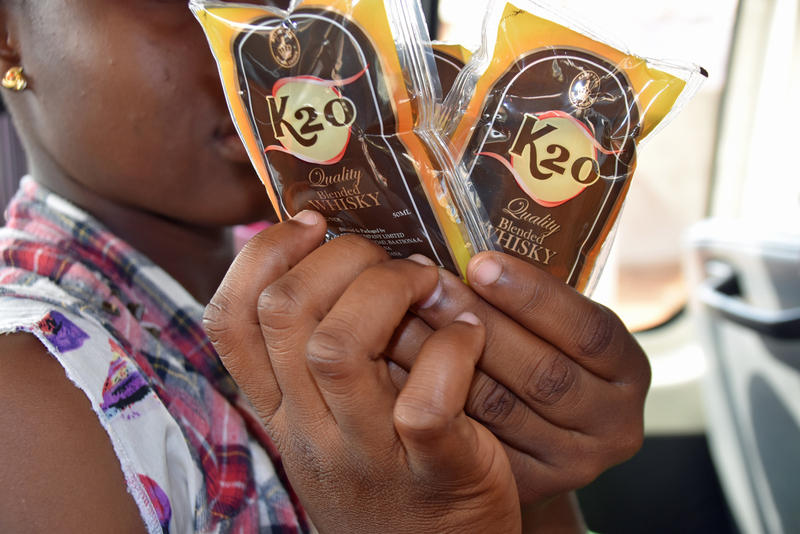 In the most extreme case, a boy who looked like 10 years old, asked in a bar for a sachet of liquor. The shop owner responded that he could not sell one sachet. A sachet costs two Cedis and the boy had only a 20 Cedi note. The bar had no change to give back. But the boy could buy strong liquor sachets if he bought not one but four sachets! Some of the selling points, 15 out of a total of 129, refused to sell alcohol to the minors. In some of these cases it was said that patrons were not allowed to bring drinks out of the bar; they had to sit and drink on premises. Some other shop or bar owners appealed to the youngsters that they should not drink alcohol but still sold the beverages. 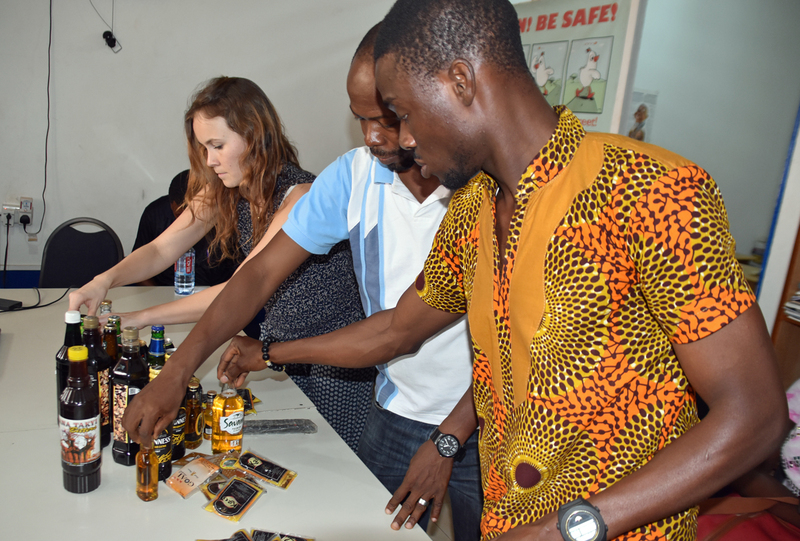 This Alcohol Buying Campaign in Ghana was organized by the local NGO VALD (Vision for Alterative Development) and the Norwegian youth organization Juvente, and with the support of FORUT, a Norwegian development NGO. All these three organisations are heavily involved in alcohol policy and substance use prevention. The aim of such mystery shopping campaigns is to test if government regulations are adhered to and, if not, to raise political debate around failing implementation of laws and regulations. Age limits for sale/purchase of alcohol is considered one of the most effective interventions to prevent drinking among youth, to delay the onset of drinking in adolescence and to reduce alcohol-related harm. In most countries with such regulations, the age limits typically vary between 18 and 21 years of age. However, many countries do not enforce existing age regulations. VALD has for several years already been an active lobby organization for tobacco control, in Ghana and regionally. Now they have entered the alcohol field and contributed to the discussions around a new National Alcohol Policy in Ghana. VALD is also the coordinator for the Western Africa Alcohol Policy Alliance and its national branch in Ghana; GhaNAPA. Juvente has had mystery shopping campaigns in Norway since 1970. They have developed a very strict model to ensure that test shopping is done in a responsible and fair way. Shops shall have a fair treatment, the young participants shall have a proper training for their participation, and results hall be treated and presented in a serious way. The results of the 2017 campaign in Norway were presented early June 2018. Altogether 972 shops were visited with the result that 26 % of these shops sold alcohol to kids between 12 and 16 years. This is down from 30 % in 2016, but still a high number.